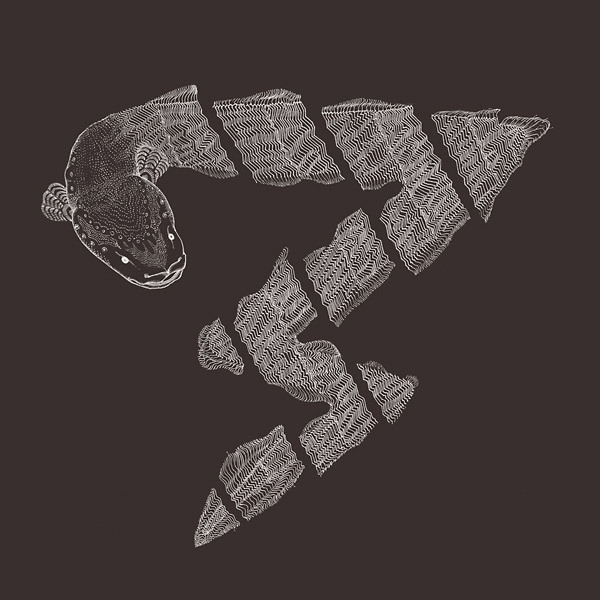 Squadra Omega is a self-described “psych/avant/kraut rock collective,” but even that heady set of signifiers doesn’t completely capture what the Italy-based group, whose core members call themselves OmegaMatt and OmegaG8, accomplish with these two newest releases. Acid-fried funk, loop-based electronics, pastoral folk, you name it - the duo (and whoever they tap to accompany them) is seemingly unintimidated by the “kitchen-sink” approach to improvisation. 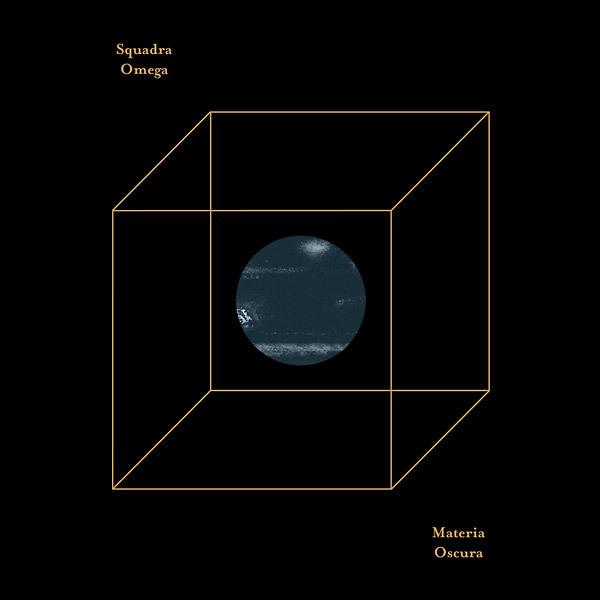 While their previous record ( the stellar Altri Occhi Ci Guardano) comprised a double album’s worth of material, with “Materia Osura” and “Nervoso,” the group have pared down any excesses and simultaneously gifted us with two separate, laser-focused long-players. Opener “Massa mancante” is immediately grabbing. Over propulsive percussion and an ebullient bass-line, joyful synths swirl, with a bouncy, irresistable keyboard calling to mind the effervecent psychedelica of another time. Despite its seeming indebtedness to similarly playful kraut-psyche groups like Neu! (especially those drums), however, the piece never feels stale or played-out. “Mondo brana” rides on a simple two-chord acoustic guitar pattern and lilting drumwork, with OmegaMatt’s incisive electric guitar motif adding a flare of dramaticism. With its additional layers of synth and sax, one can’t help but think of the Rock in Opposition movement of the late ‘70s - there’s an undeniable thread running from those English avant-prog groups to Squadra Omega. After an explosive bridge section in which the combined force of the instrumentation serves to rouse anyone whose attention might have been slipping, “Mondo brana” moves into stranger, more interesting, territory; atmospheric slivers of organ and a wailing sax weave in and out of an electronic stew, the whole thing brews and simmers, and it finally gives rise to a jittery, high-tempo coda. The concluding track, “Le oscillazioni dell’universo giovane,” sees the group at the height of their experimentation. Burbling synths, cavernous electronics, spectral percussion that moves in fits-and-starts - if not perfectly analogous to the “the oscillations of the young universe,” it at least manages to evoke feelings of slippery, unplaceable apprehension. From there, things get even more abstact. Various reed instruments join up in a primeval lamentation of sorts, while swathes of synths act as the implacable wind underneath. It may just be the influence of the piece’s title, but upon hearing this segment, images of “the Spirit of God moving upon the face of the waters” and the like flooded my mind, and I imagined something like the dawn of humankind - newly-formed eyes opening upon a pre-historic dawn. And, fittingly enough, the dawn does come: a cloud of gently-plucked acoustic guitars arises from the aether, vocal chants coalesce, and those ever-present synths wrap it all up in a warm embrace. While the first two pieces on Materia oscura are certainly enjoyable, the final track is the most ambitious and most rewarding, and it’s to be hoped that Squadra Omega develop this kind of open-ended exploration more in future releases. Nervoso is a live recording that captures an improvised session between OmegaG8 (on bass and electronics), OmegaMatt (on guitar, organ, sax, and electronics), and OmegaFrank (on drums). Even without that tidbit of information, it’s immediately clear that the group have taken a differerent direction here when compared to Materia oscura - the instrumentation is lighter, the tempos slower, and the joyous, tightly-wound melodies of that previous record have uncoiled. OmegaMatt’s electric guitar-work too has undergone a transformation - from bold, bright, and near-histrionic, to muted, tremulous, and exploratory. 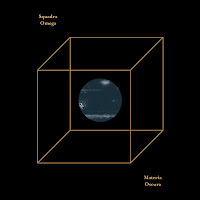 Percussionist OmegaFrank (who I’m not sure was a part of the Materia oscura sessions) takes an approach that is probably more palatable to the frequenters of the Free Jazz Blog: loose and unfixed, with textural shadings that are more in service of the overall atmosphere than any particular rhythmical tack. “Nervoso I” spends the majority of its time in a dank, twilit vault, until the guitars are slowly swallowed up by gaping, wide-screen electronics. Just when you thought they had been totally submerged, OmegaMatt crawls (or rather erupts) out of the muck with a funky, frazzled solo that wouldn’t sound out of place on one of Davis’ mid-70s fusion classics. OmegaFrank supports him and the equally in-the-pocket OmegaG8 with compact, buoyant percussion that belies the airy, loose-limbed drum-work of the album’s first few minutes. Squadra Omega are not ones to let the listener get too comfortable, however - within the spin of a minute or two, the grooves have dissolved into a morass of swirling synths and, at one point, frenzied saxophone bleats. It’s a glorious meltdown, indeed. “Nervoso II” might open with looped, carnivalesque electronics, but it quickly establishes itself as the darker, more brooding cousin to the first track’s freak-outs. If I had one complaint about Nervoso, then, it would be that the group didn’t take the opportunity to take things in a different direction on this second piece. Squadra Omega are great at jet-black soundscapes, sure, but they are even better at using those soundscapes as launch-pads to other planets entirely. “Nervoso II” shudders and shakes, and OmegaFrank’s nervous, rolling percussion hints at a coming explosion, but it just never takes off in a way that leaves you satisfied with the album as a whole. In any case, Nervoso is an excellent accompaniment to Materia oscura, and now I’m wondering what it would sound like if the pieces on these two separate recordings had been shuffled around and put on the same album - perhaps, like Altri Occhi Ci Guardano, it would be another genre-busting stunner. Alas, we’ll never know..but you could certainly do worse than simply buying up both of these records and playing them back-to-back, again and again, to your heart’s content.